While eCommerce circle discusses the methods for acquiring customers and converting them, one of the major debatable subjects is what’s better for promoting the store? Discounts or free shipping? The answer seems to be variating under different circumstances. Throughout the year discounts are the best promotional vehicle for luring customers at least for the first time whereas free shipping hinders the decision-making capabilities of lured customers. 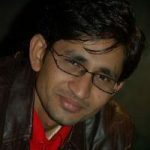 The role of both the techniques are quite different but their ultimate goal is to achieve the maximum conversion rate. Checkout the statistics and face that improve your ROI by an eCommerce development company. 8% of the shopping carts are abandoned due to the lack of discounts or coupon codes. 25% of the shopping carts are deserted due to the unexpected shipping charges. As the stats suggest, unexpected free charges affect the behavioral economics of the shoppers more than the discounts. But few other stats report that discounts are a much-needed method of promotion. But do surveys really tell the complete story of buying decision, especially when the circumstances are different, occasions are not same, and locality requirements vary? I don’t think so. Among zillions of domains, how do you let people know that your website exists? Of course, marketing is the answer but marketing fails if you are unable to throw the best deals for the first time visitors. The first step towards moral victory is by putting the promotional discounts and making shoppers land your page. If your store is relatively new, the promotional discount is must as a bait. But again the important point is “moral victory is not conversion.” Conversion is all about how you let your system interact with the shoppers and give them a fascinating experience. It is all about how you make the entire shopping experience hassle-free and frictionless. Customers buy the products, regardless of the shipping charges. A fair trial for you and them. Customers abandon your cart. Since the stats have shown that one-fourth of the shopping cart cast off takes place due to shipping charges, you can’t afford to lose the customers after putting tremendous efforts to lure them. A lured customer abandoning your cart is far more a greater threat to your business than the shoppers who didn’t even visit your store. That’s because you can make the non-visitor visit by other techniques and schemes but it is extremely tough to double-lure the customers who deserted unsatisfied. When your Store has already Built A Decent Reputation? It is a kind of paradox because reputation is not build up by mere talks but by actions. If the store exists from the old-time, it must have done something correct to exist until now. It doesn’t necessarily need to acquire customers because it could focus more on customer retention than customer acquisition and win the eCommerce battle. Customers are linked to the reputed store because they already find the store more economical than the other stores. A decent reputation means trust. In such a case, they don’t check the prices you offer because you have already hit their psych by proving yourself the most economical store. So, free shipping gets mandatory because whether you offer discounts or not, your store is already seen as a trustable entity. Using free shipping under the badge of a loyalty program, the old store can reap more loyalty. Key Takeaway: You may put significant efforts in marketing your store making discounts as your promotional catalyst but when it comes to conversion, you lose one customer every four visitors without free shipping. Hence, to challenge your contemporaries, you will need to put both the techniques in your system. Whether your store is new or old, free shipping is seen as a mandatory service. Carrying eCommerce drives is not simple. It takes a lot of planning, expertise, and investment. One way to decide whether you want discounts or free shipping as your main promotional drive is by assessing your budget. Low-budget eCommerce with fewer products: An eCommerce store with fewer products can easily implement the discount campaign because management of the discounts for the store with the myriad of the products is a strenuous task. Low-budget eCommerce with more products: It is difficult to manage a discount campaign in a store which has numerous products. Flat rate shipping prices or free shipping delivery eases all the time required to calculate and assess the perfect revenue which in the case of discounts is very difficult. The higher budget doesn’t necessarily mean the success of the store. But it is definitely one of the key pillars of the eCommerce conversion. High-budget eCommerce with fewer products: A store with a good amount investment window with fewer products can work on both the campaigns simultaneously. It takes hefty bank deposits and demands high ability to absorb the loss in case of handling the two campaigns simultaneously for a low-budgeted store. But for a high-budget e-tail, the doubt is ruled out. High-budget eCommerce with fewer products: When the budgets are high, I don’t see any reason of why a store shouldn’t practice both the popularizing schemes simultaneously. Key Takeaway: For offering unique or free services, the truth is, you need a decent budget because it demands the power to let go the losses. But there is always a smart way to work if budget is not high. Nothing is absolute in eCommerce. What sounds amazing and trendy today may sound trash tomorrow. The golden rule of applying a technique to your store is by standing by the trend. Your system should be smart enough to analyze the need of the hour. There may come a time when coupons become obsolete and free shipping becomes an expected service. And there is a possibility that shoppers don’t consider free shipping a compulsory service, especially when you are able to feed your users that “shipping cost is not an additional charge, it’s the charge which you spend while traversing to the brick and mortar store”. Ecommerce merchants are trying every bit to read the patterns of cognitive decisions and generate tactics based on it. It may take an entire century to condition someone’s brain. But the truth is, conditioning can evolve the psychology. Key Takeaway: The crux of the matter is that a smart eCommerce store reads the course of the market. It takes decisions based on the need, not some definitive and rigidly versified strategy. To bring the free shipping promotion in existence, you can use free shipping bar extension developed by M-Connect Media. It helps in setting up the threshold cost for the customers to reap the advantages of free shipping. Make the customers know about free shipping offer in intuitive ways. 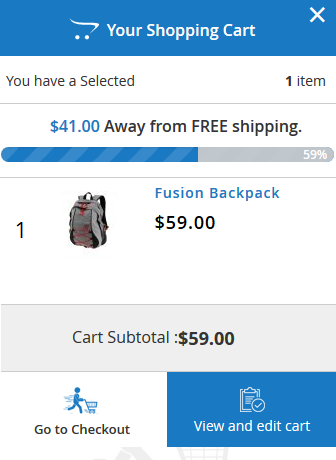 It automatically calculates the remaining amount needed to obtain free shipping, when a shopper adds the products to the shopping cart. Merchants get rights to add their own custom messages for free shipping. Moreover, the merchant can also set font size and color of the message text. A progress bar is also included to show how far the customer from availing the free shipping offer is. The Merchant can set the background color of the progress bar. It offers to upload images for the mini-cart loader and empty mini-cart. It allows setting of own shopping cart title. Reflects a successful message which shows when customer avails free shipping. There are many components which contribute to the prosperity of the store. The only thing which keeps on changing is the ratio of the requirements. As of now, free shipping is an expected service and so are the discounts. But if we talk about the ratio of the necessity, free shipping impacts the store much more than the discounts. Who knows what has the evolution of eCommerce got in the coming years.